Pep up a beautiful soul with these beautiful bunch which has red, pink and white roses which to put up that million dollar smile on their face. This bunch can be an ideal present to make the celebration memorable. 5 pretty bouquet with an amazing packing. What a fabulous bouquet at such a menial price. The beautiful combinations of colorful roses made this bouquet extremely pleasant. 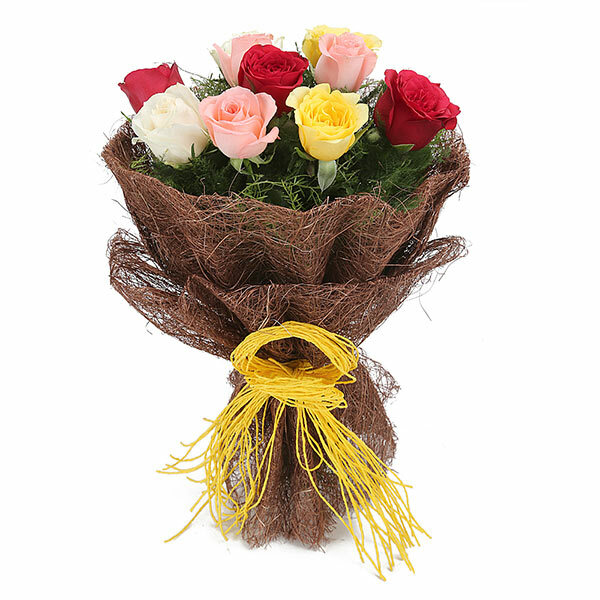 The jute wrapping added to the beauty of the rose flowers. I was very much impressed with its packing.